Luscious sweet vanilla custard laced with a hint of orange topped with that crunchy sweet sugar so satisfying to crack with a spoon! 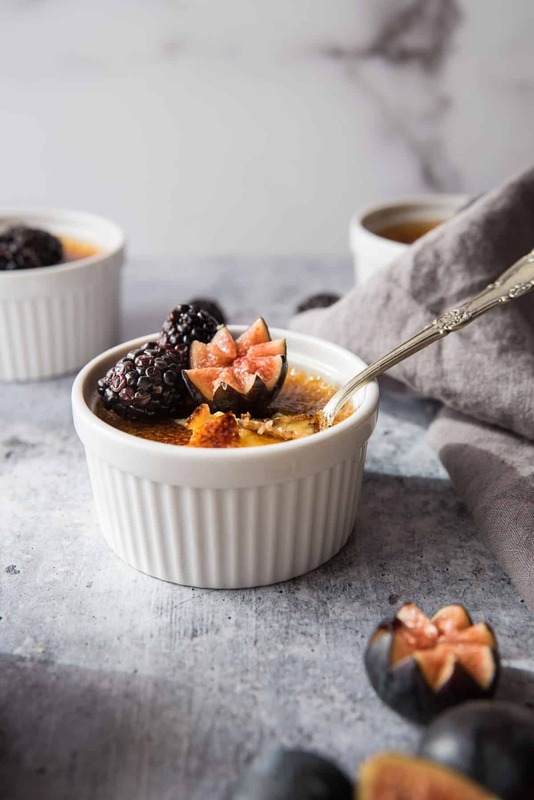 Crème Brûlée with Grand Marnier is the perfect make ahead dessert for dinner with company or a date night-in meal. This post contains affiliate links. There is no additional cost to you, but I receive a commission from the sale. Okay, let’s be serious. 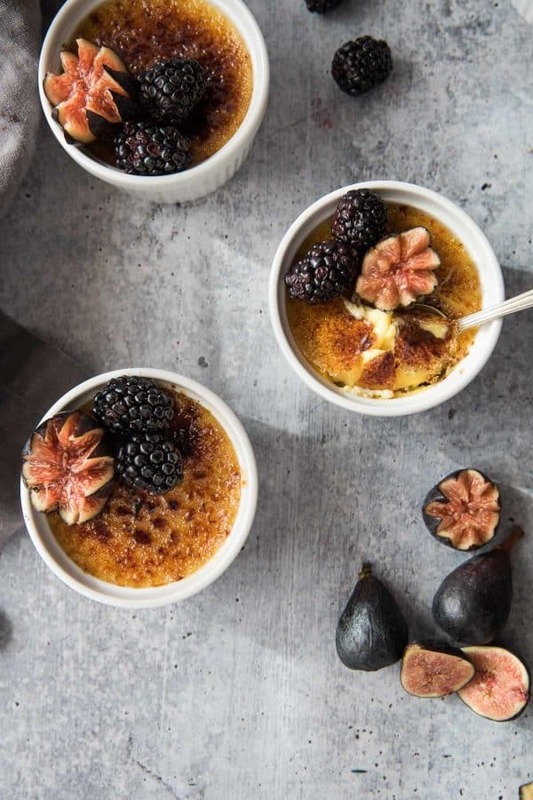 The best part about making this is getting to use the kitchen blow torch, followed by cracking the crunchy sugar crème brûlée top with a spoon. Well, only to be out done by savoring the crunchy sweet with creamy vanilla custard. Ugh ok, the whole thing is just pretty great. It’s hard to pick a ‘best of’ part. Every time I make crème brûlée, I’m also shocked at how simple it is and vow to make it more often. Then a year or two go by and life repeats itself again. 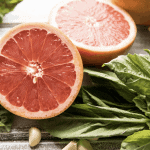 So here we are, but this time with a different twist – let’s throw in some Grand Marnier for a subtle hint of orange liquer. We’re also going to use vanilla bean paste because, while I’d like to use real vanilla beans I do not have the time (or the justification of expense) to be scraping them out of their wiry little pods. I like things where the lid just twists off. You too? Oh good. Not tootin’ horns or anything, but that’s a list I can very much get down with, so let’s. It is truly, not very complicated. For hardware you’ll need some ramekins. Like these beauties that were a recent acquisition at World Market and I really cannot wait to use them for another installment of “that time I forgot how easy this was.” You will also need a baking dish for the water bath – an 8×8 pan is perfect for this recipe. Or you can purchase a crème brûlée set which is both the ramekins and the water bath dish all in one. This is the exact one that I use. Lastly, if you do not have a kitchen blow torch you totally should. It’s fun to use and makes things like s’mores, instant pot ham, or anything with meringue super simple because you just torch it rather than risk burning it with the broiler. This kitchen torch is the one I use. You can make this either in a standing mixer or with a hand mixer, or even with just a whisk. The standing mixer is nice because you can mindlessly let it mix with the paddle attachment while you slowly add the cream, but any other method will do just fine. They key is not to over mix the egg base and get the cream to scalding but not boiling – a little simmer is ok, just pull it off the heat once you see it. Adding boiling cream to the egg mix will cook the eggs and then you’ll just have sweet scrambled eggs and that’s gross. The next essential step is a water bath. Real talk, everything is better with a nice hot bath. 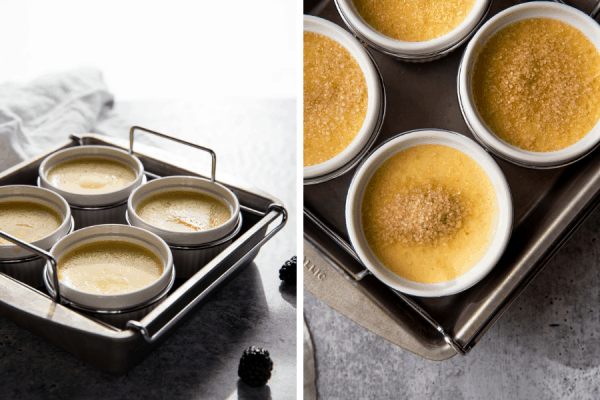 Your little ramekins of vanilla and grand marnier custard are the same page. Allowing the oven to fill with steam and to gently bake the custard without browning the edges. Post-baking carefully remove the ramekins from the hot water bath – which is kind of the nice thing about this set because it has an easy to remove base. Let cool for about 15 minutes on the counter before chilling in the fridge. 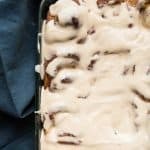 You’ll want to chill them for at least two hours to ensure the custard sets before serving, which is why these are great for make ahead desserts. Then comes the fun part. Sprinkle each of the ramekins with turbinado (aka raw) sugar and move around so it covers the custard evenly. Then hit with the torch until the sugar is melted, browned and caramelized. 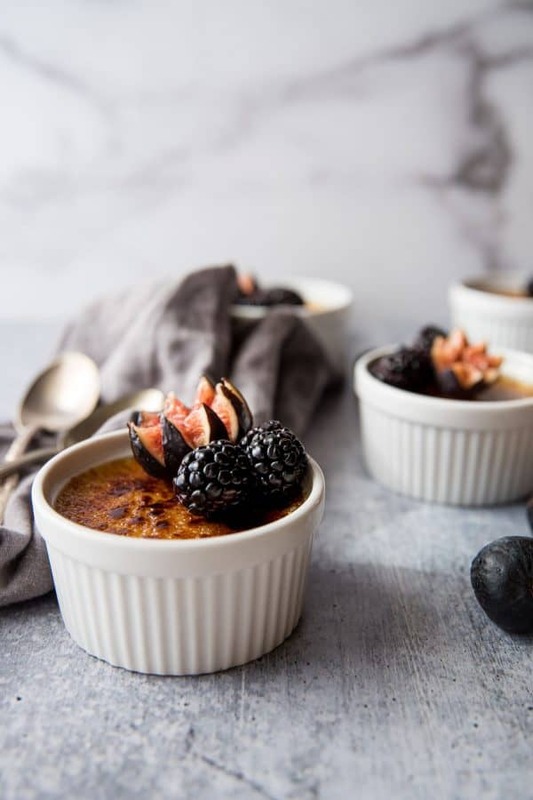 Let your beautiful Crème Brûlée with Grand Marnier sit for 1 minute before serving so you and your guests get that satisfying spoon crack of the harden sugar upon digging in. 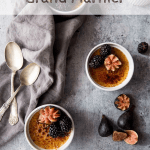 Crème Brûlée with Grand Mariner is simple to make and yet such a fancy way to eat dessert! Luscious sweet vanilla custard laced with a hint of orange topped with that crunchy sweet sugar so satisfying to crack with a spoon! Preheat the oven to 300°F. While the oven preheats, prepare the the ingredients. On the stovetop, scald the cream over low heat in a saucepan. The cream should be very hot but not boiling. In the bowl of a standing mixer with the paddle attachment, combine the egg, egg yolks and granulated sugar on low speed for 1 minute or until just combined. With the mixer still on low speed, slowly add the hot cream. Add the vanilla bean paste and Grand Marnier to the bowl and mix until just combined. Pour into 4 4-ounce ramekins to about 1/4-inch below the rim. Place the ramekins in a baking dish and pour boiling water into the pan until just about half way up the ramekins (usually about 1 inch). Bake for 30 minutes. The creme brulee should be firm but jiggle just slightly when gently shaken. After baking, remove the ramekins from the water bath and cool before refrigerating for at least 2 hours until set but overnight is best. Before serving, sprinkle each ramekin with turbinado sugar. Heat the sugar with the kitchen torch until melted, browned, and caramelized. Let sit for a minute after melting the sugar to let it harden before serving. If you do not have a kitchen torch you can use the broiler to caramelize the sugar top. 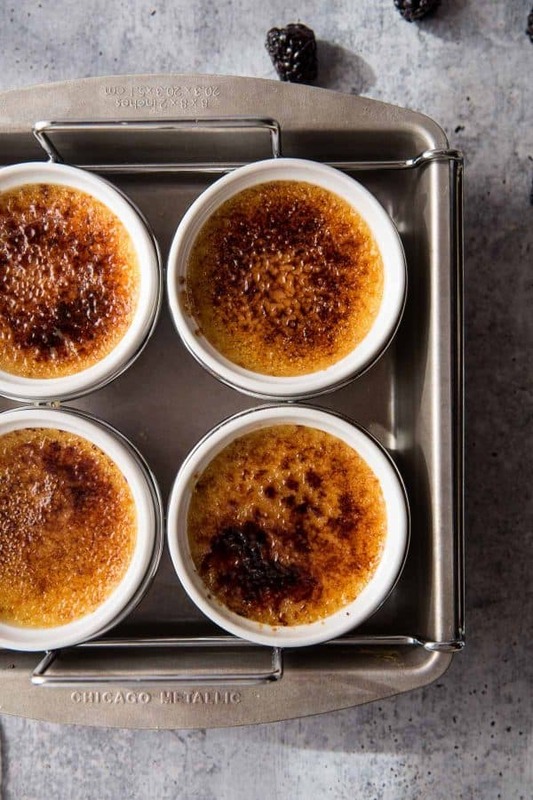 Let the crème brûlée set in the fridge overnight (or at least for a few hours). Preheat the broiler on high and sprinkle each ramekin with turbinado sugar. Place on the top rack and broil for 1 minute, rotating the pan tso the sugar melts evenly. If you do not have a standing mixer, use a hand mixer on low or a hand whisk, whisking continuously while adding the hot cream. Okay, this chick just drooled looking at your photos. And then when I read about the sugar cracking under a spoon . . .YES! 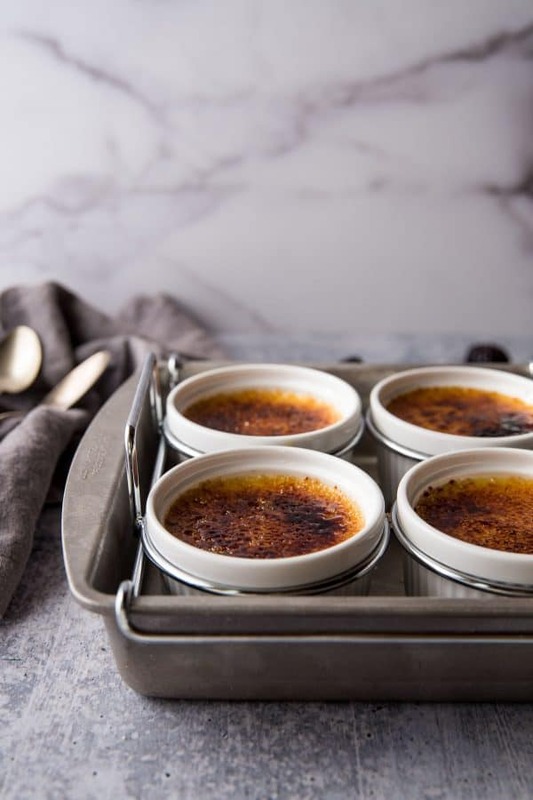 I’ve never made creme brulee at home but now I have to try your recipe! I love creme brulee, and the addition of the grand marnier is utter genius! It’s so decadent, can’t wait to try it! I have never tried creme brulee myself but I am really intrigued now. I seriously want to try because your recipe makes me drooling for it. i am in love with creme brulee. 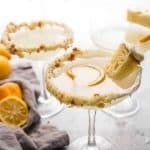 i actually just made some lemon ones this weekend. but these sound incredible, love the orange you used. I love how easy they are to make! Wow! These are almost too pretty to eat. Creme brulee is already one of my favorites. Now with the addition of a spicy liquor and tangy fruit. A real treat. Thanks for the inspiration. I have a soft spot for Gande Manier! 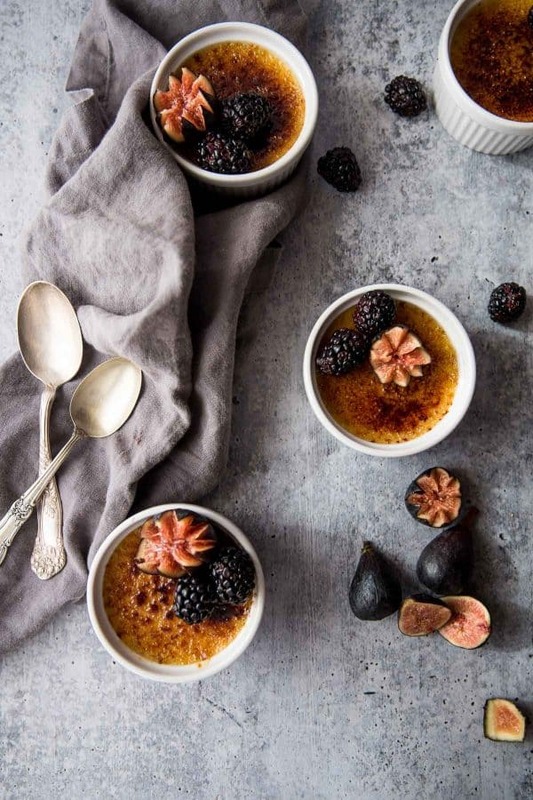 This creme brulee sounds absolutly divine and the pics are so gorgeous, I cannot stop looking at them! I love creme brulee. The most satisfying part for me is cracking the top! 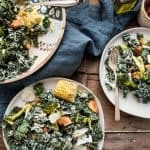 This recipe looks stunning. Pinning for sure! One of my most favorite desserts to order at a restaurant. I can’t wait to make this at home and enjoy with everyone. This is one of the prettiest desserts I have ever seen! 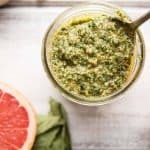 Such a beautiful way to spice up this classic recipe! 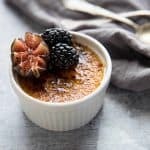 Hubby loves creme brulee and I think it’s a nice idea to prepare with Grand Marnier, such a tempting dessert!